Despite 73% of C-suite executives worldwide believing gender parity in the executive space will be achieved by 2030, only 39% see creating a diverse team as a priority. The 2015 Gender Equality Report from Weber Shandwick surveyed 370 C-level executives the world over on the issues of gender diversity, and the ‘push’ factors, which they feel will drive equality, and ‘pull’ factors which serve to maintain the status quo. Only 39% of C-Suite executives agree creating a diverse team is a priority for their organisations. This comes behind other priorities such as increasing profitability (64%), leading, motivating and training employees (50%), shareholder engagement, risk management, company reputation and developing new products and services. 42% agree with the statement that women need to act like men in order to succeed in business. The survey confirms the phenomenon known as the glass ceiling remains intact, with 55% of global executives agreeing that women in senior management have the most difficulty advancing to higher level positions. 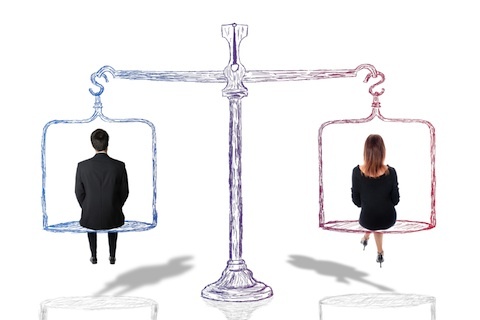 55% of women view equal pay laws as key to triggering gender equality progress. Millennials (those born between 1981 and 1996) are the generation who place the greatest importance on gender equality, with 76% executives in this age group worldwide saying it is important to them, far more than gen x and baby boomers (44% and 48%). Millennial executives are also the most optimistic that gender diversity will be achieved by 2030, with 84% estimating it will be achieved in most large global companies, compared to only 74% of gen xers and 66% of Baby Boomers estimating the same. The apparent finding that millennials expect no less than gender equality is one of the main push factors, the report suggests, that combined with a few others, will further promote gender diversity on the executive level. 59% attributed this to a growth in media coverage of the issue. Interestingly, when divided into male and female findings, males cite growing media attention as the key driving factor in increased public attention (71%), whereas females cite the growth of female influence (60%). This could be due to the fact that males have perhaps only more recently been sensitised to gender issues, whereas women have paid more attention to their own evolving positions. 56% of men report the same. Contrary to dominant media coverage, 79% of female executives who are parents report strong interest in taking a C-level position. The realisation that diversity enables global organisations to draw from the widest base in order to recruit talent that gives them the edge over the competitors has been seen as a motivating factor on the path to gender equality on the executive level by those surveyed. For executives in the survey who actively support gender parity, 38% believe diverse perspectives lead to better financial performance and 35% believe women make good leaders.